When should I use Available Now, Coming Soon, and Private Sections? Use Available Now if the beer you’re adding is currently available to your customers. When you’re adding a beer, this is the default setting. Use Coming Soon to promote beers that aren’t available now, but will become available soon. This is a valuable tool to help drum up interest for those kegs you have in the fridge or those hot new cans you have on deck. FYI, Coming Soon beers are searchable on BeerMenus, so if you know what’s arriving soon, make sure you add it to your menu! 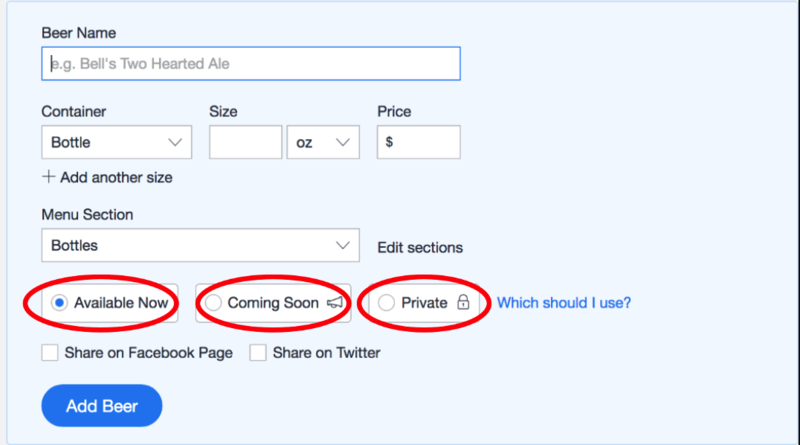 Use Private to “store” information about beers that aren’t currently available. For example, let’s say you just kicked a beer that you know will come back at some point. 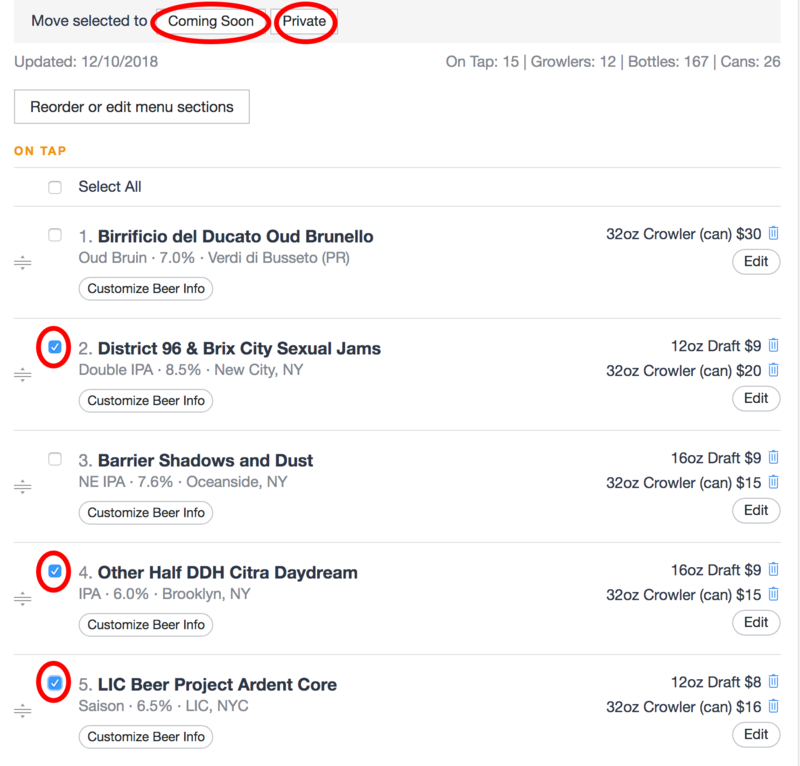 Enter/move that beer to the Private section to save the information, and when it’s once again available you can move it over to Available Now in just 2 clicks! Wait, so what’s the difference between Coming Soon and Private? The biggest difference between Coming Soon and Private is that “Coming Soon” is visible to the public, while the “Private Section” is an internal tool only visible to you. Want to move beers between sections? Easy.